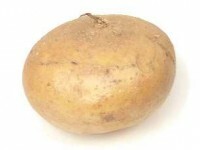 USES: This slightly sweet, crisp-and-crunchy root vegetable is typically peeled and eaten raw as a vegetable (usually with chile and lime, or in a salady preparation); rarely cooked. FINDING: Most well-stocked general groceries and nearly all Mexican groceries. CHOOSING: Smaller (no more than 1-pound) jícamas with thin, taught, unblemished skin are usually the sweetest and crispest. STORING: In the refrigerator, unwrapped, for up to a month.